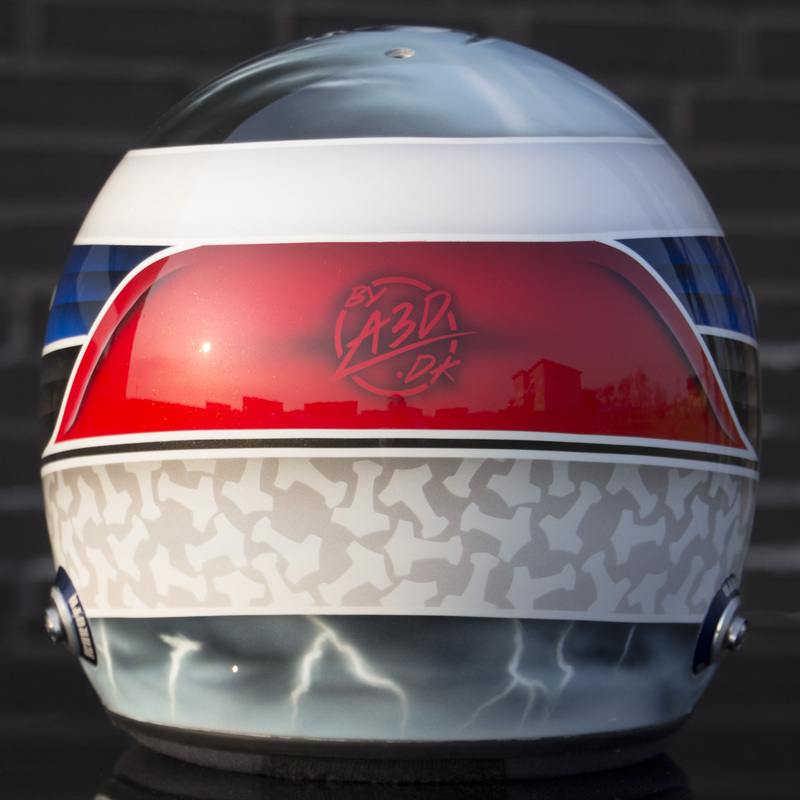 Helmet made for racing driver Morten Dons – aka The Danish Viking. 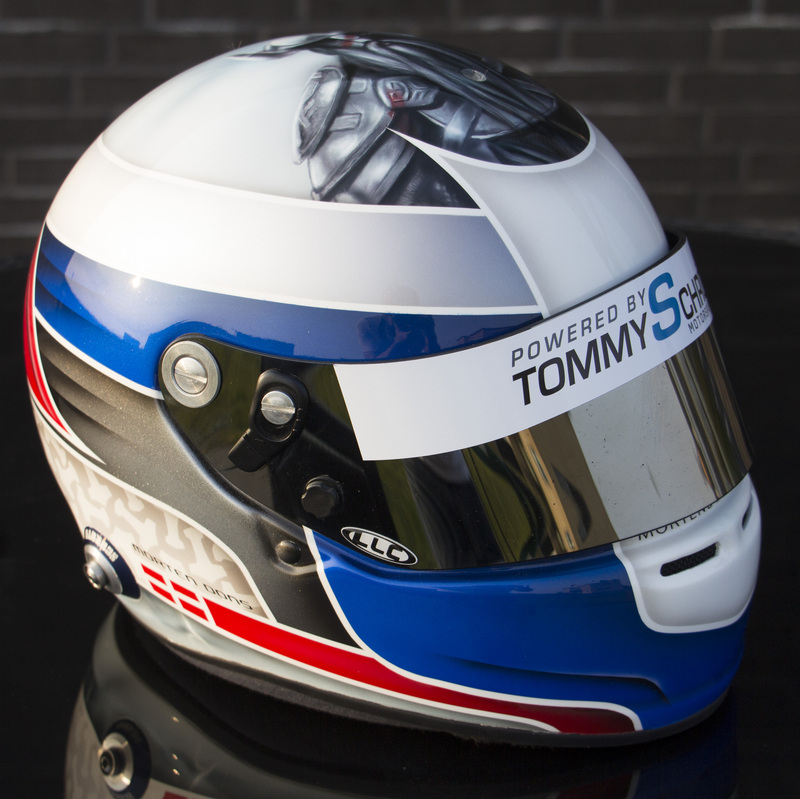 We designed the helmet with Mortens input for the graphic design of the helmet and his team colors. 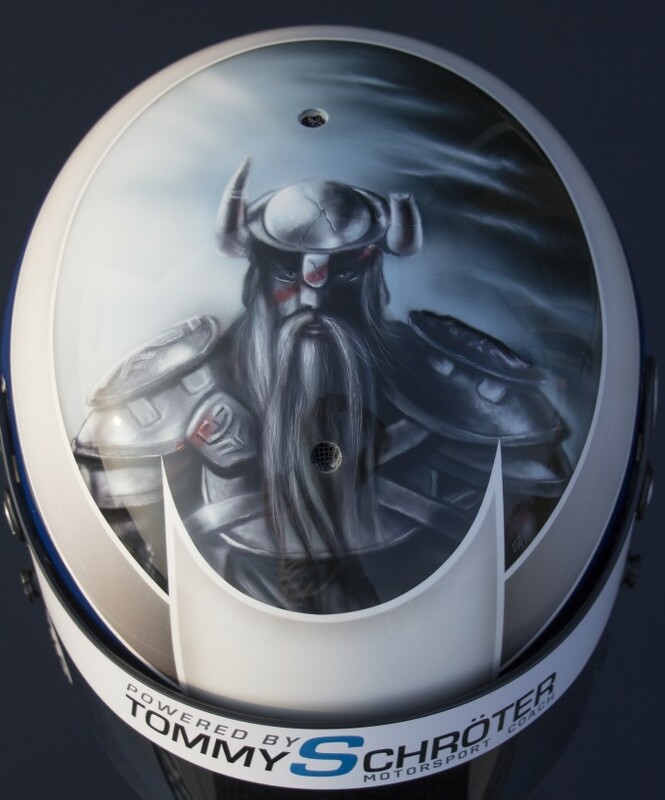 The airbrushed viking on top of the helmet sets it apart from the graphic look of most other racing helmets. 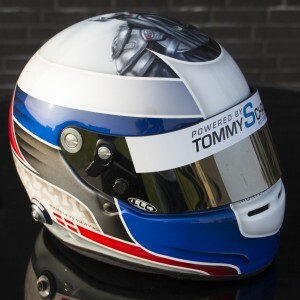 Be sure to check out the A3D Facebook Gallery that has more examples!